Ending violence? We’re looking in the wrong places. Thomas Merton drafted those words more than 50 years ago. But I think his description of hell sums up the situation we find ourselves in today. Most of us (hopefully) want to see the end of violence on our streets and around the world. We just can’t agree about how to do it. And too often, our disagreements devolve into opinions filled with vitriol, hostility and hatred. Call me naive, but I want to believe that on a good day, the majority of us are decent people with good intentions. But they say that the road to hell is paved with good intentions, so I also know that on our bad days we’re capable of some truly sinister things, especially when we buy into the group-think of our various tribes and allegiances. Instead of coming together around solutions for the common good, we’re held captive by political rhetoric and our own stubbornness. From immigration to gun control to the efficacy of prayer, we kid ourselves into thinking that we can find answers in media sound bites and social media memes rather than looking for answers in the only place they can ever truly be found. The kingdom of God is not coming with things that can be observed; nor will they say, “Look, here it is!” or “There it is!’” For, in fact, the kingdom of God is within you. The kingdom of God brings peace on earth. It’s the kingdom-come in the here-and-now. It’s the end of violence and suffering, hatred and division. As God made flesh, Jesus says that you can’t find the kingdom of God out there, in the chaos of competing ideologies and personal opinions. The only place where you’ll find the kingdom of God is in you. We find the end of violence in solitude. 1. Solitude amplifies God’s voice. The average person spends 1.72 hours per day on social media. Solitude gives God a chance to be heard. By spending just a few minutes a day in spiritual reflection, you gain the ability to see current events and the problem of violence through a Jesus-centered lens. 2. Solitude shines a light on your soul. In some way or another, we all play a role in perpetuating cycles of violence, even if it’s only through seemingly small acts like yelling at our kids or treating other people with disrespect. 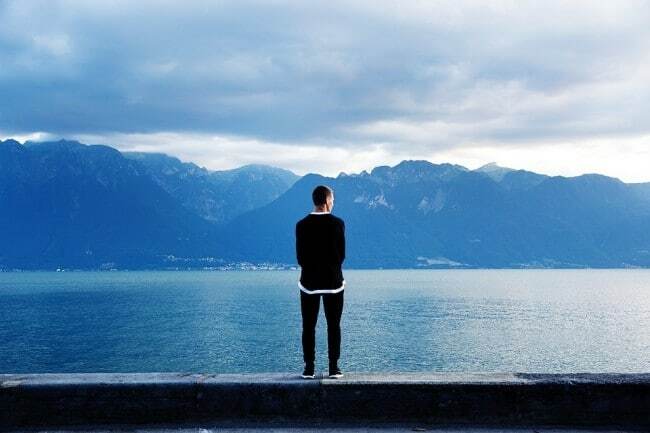 Gandhi wisely told us to be the change we want to see in the world, and solitude shines a spotlight on the areas of our life that are ripe for transformation. 3. Solitude creates spiritual strength. Solitude produces spiritual stamina. It empowers us with the strength and boldness we need to live as ambassadors of Christ in the world. If you want to be the kind of person that responds to violence with spiritual authenticity rather than half-baked ideas and tired cliches, you’ll need solitude to do it. I’m tired of violence. But I’m equally tired of ignorant, knee-jerk reactions to violence. Maybe you are too. Is it time to end the violence? Absolutely. But the starting line for the end of violence is solitude.